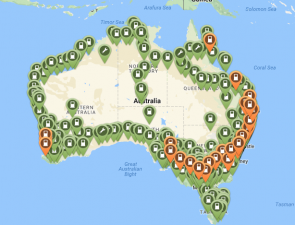 As electric vehicles begin to have more of a presence in Australia, it is important for C-stores to consider the impact that this could have on their retail offerings. Kim Celestre of Chargepoint.com has written a guide to boosting sales once a C-store has electric vehicle (EV), stating that nearly 70% more EVs were sold in Jan 2017, than Jan 2016 and this is will have a trickle down affect for where drivers choose to shop, and charge their vehicles. “With 35% of global new car sales expected to be electric by 2040, it’s time for retail stores to get ready to accommodate EVs,” she said. Firstly, installing EV charging points will draw in customers. Like filling up a car with petrol, it is inevitable that electric vehicles will need to be charged and as the EV market keeps growing, installing charging points will become a “key investment for retailers that want to attract EV drivers,” Ms Celestre said. Once the customers are on site, they will wait around while their car charges and this is a good time to get them into store and spend more money. “One major retailer found that shoppers send about a dollar for every minute they were in the store,” Ms Celestre said. Having EV chargers puts a store quite literally on the map. “EV drivers rely on EV charging apps like ChargePoint’s mobile app to quickly find places where they can charge,” Ms Celestre said. A C-store that enables customers to shop while they charge can encourage drivers to choose one store over another. Developing customer loyalty programs that specifically target EV drivers can bring them back into store to both shop and charge. Understanding customer behaviours, their needs and wants will enable C-stores to effectively implement EV charging stations that will benefit all consumers.